This time of year is when we do routine maintenance on the house. 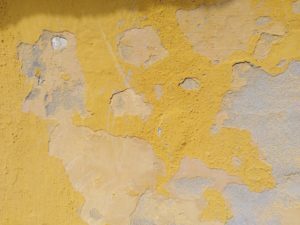 As I worked on the outside walls, scraping flaking paint and digging out crumbling plaster, it occurred to me that what I did there is much like what I do when I edit. And with similar results: as necessary as he knows it is, my husband hates how thorough I am on the job. The more problems I find, the more work he has to do fixing them. As I dig into crumbling brick beneath layers and layers of old white and yellow wash and plaster, I know a scolding is coming. But if I don’t get to the root of the problem, any repairs he makes won’t last. Scraping off flaking whitewash, if it reveals solid wall underneath, is like fixing the wording of a few sentences. The wall itself–the character arc, the plot, the world building–is sound and we just need a touch-up to make the story work. This is simple nitpicking, as I call it. The easy part. Sometimes it isn’t just the top layer or two that’s wrong. I have to scrape off layers and layers of whitewash and, once I start, it tends to spread over a larger section. But the wall itself is sound, and we can whitewash right over it and it’ll be okay. This is like finding a section where someone acts out of character, a small bit that doesn’t match the rest of the world building, or where POV is broken. It’s not just one or two lines and the changes that need to be made might spread impacts elsewhere in your story. This kind of work is really developmental work, but since the impacts are less widespread, they often aren’t noticed until a later phase. Then there are the real problem areas. 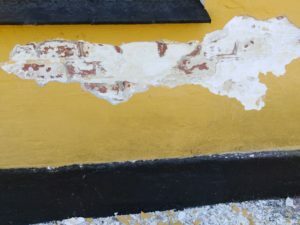 These are often apparent with sections of whitewash flaked off and maybe even some broken plaster piling on the foundation. Sometimes it looks fine at first glance but as soon as I touch it, chunks fall off. 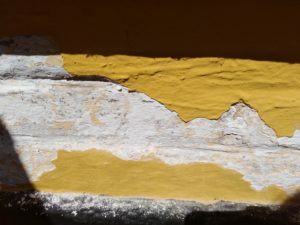 When I start scraping, the whitewash layers crumble like old soap, and the plaster goes to dust or comes off in large sections where it had been repaired before but didn’t really adhere. My husband starts freaking out as I reveal brick. Things get even worse as sections of the brick and mortar crumble away when I touch them. This is true developmental work and you better hope it gets caught early on. This happens when the structure on which your story is built is faulty. Maybe there are scenes that don’t make sense or the main character lacks agency in the character arc. Or perhaps the world building or plot is illogical and just doesn’t compute for the reader. The author, like my husband, will have to get out the cement and tools and rebuild that section of the wall in a way that makes sense. And check for cracks that can radiate out and impact other sections. This better never happen in real life. It would be total destruction–probably of my marriage, considering how much work it would take to repair our old house. But what if I dig down and start finding places where not just the corners of bricks are crumbling, but the whole brick, and the mortar just keeps chipping out? What if it were the very foundations? Then we’d have a big problem. And I could imagine it happening, especially places where an old window or door had been filled out with reused bricks or where the house was built at different times and joined badly. Problems like this in the editing world would be times where your skeleton is broken. Where you don’t have a character arc. Where you make your character behave contradictory to his nature and the entire story rides on that choice. Or where the plot makes absolutely no sense and breaks everything. This is far more common in editing than in house maintenance, luckily, but the risk is always there. So when I find these problems doing house maintenance and big repairs are needed, is it my fault? My husband gets frustrated with my thoroughness but he’s realized it pays off the next year with less to repair. The first few years I helped on the house, I uncovered some pretty big issues. And the time we redid the bedroom and he had to replaster one corner from the floor halfway up after hauling out buckets of debris. But these days I find maybe a few more troublesome patches but mostly just flaking whitewash. But the point is that I didn’t build the house. It isn’t my fault there are issues. I’m just very good at finding them and pointing them out. The situation is the same with editing. 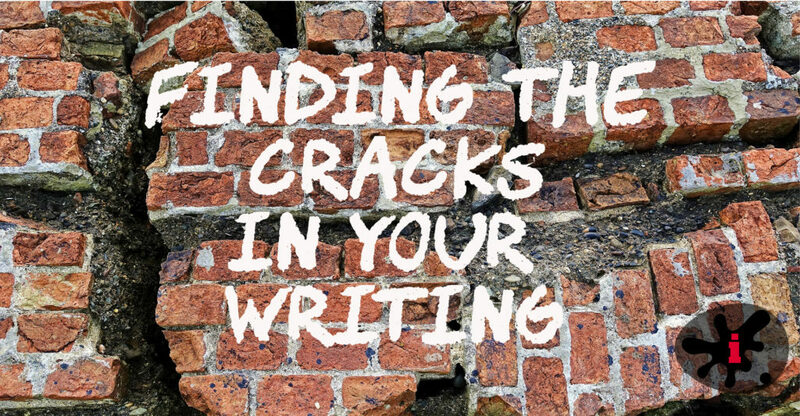 Your editor or peer reviewer isn’t to blame for uncovering weaknesses and issues in your story. So don’t get angry at him or her. Appreciate that they’re found while you can fix them and before your readers are aware of them. Ignore your editor or reviewer at your own peril. If you don’t dig deep enough and just slap on a cosmetic fix, it will probably go to bits on you at some point. Painting over crumbling bricks doesn’t stop the bricks from going to pieces. Your readers–the best of them anyway–will notice and once one starts picking away at your work, it won’t take long for a team of them to plaster the net with bad reviews highlighting all those flaws you tried to hide. Remember also to hunt out the real cause of the problem. 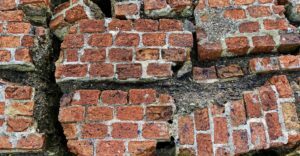 Sometimes you have to dig deeper than your peers or editor have dared to find a weak spot in the foundation itself before you can rebuild properly. Examine, prod the structures, and ask questions. A wonderful analogy and great advice. Sums up the work editors and peer-reviewers do well. And the frustrations writers go through patching up is to the point like that. Lovely and well put, Bex!